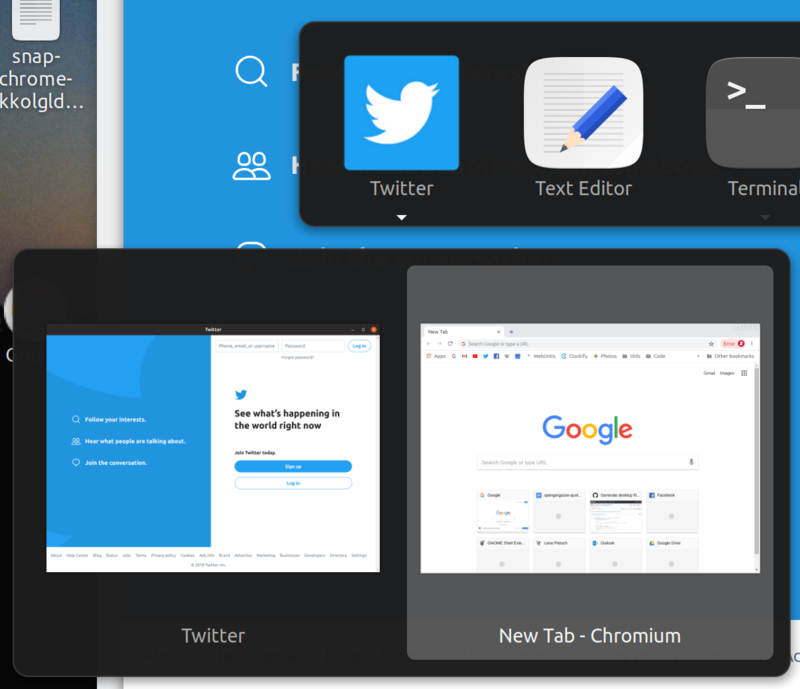 Add the Chromium Snap to the left launcher panel. The Chromium snap starts and creates a new symbol in the launcher panel. The Chromium snap should start using the symbol which is already pinned to the launcher panel. The Chromium Snap cannot be pinned to the panel at all. Add StartupWMClass= ... to the .desktop launcher of the chromium snap. I cannot observe the issue on Ubuntu 18.04. I can pin the chromium snap icon to the launcher, both in the Ubuntu and GNOME sessions, and clicking that icon matches the newly-created window to the icon. Which distribution/version are you running? I've got the same issue in the Ubuntu 18.10 beta. And thus, when no "pure" Chromium window is opened but a Chromium web app is, opening Chromium will cause the Gnome shell to group the two icons under the name of the app (as it's the same executable without a distinguishable StartupWMClass, if I'm right). With `StartupWMClass=chromium` added to /var/lib/snapd/desktop/applications/chromium_chromium.desktop it works as expected. Note that the fact that "Create shortcut" doesn't work in the snap is a known issue: bug #1732482.